CLOSEOUTS. 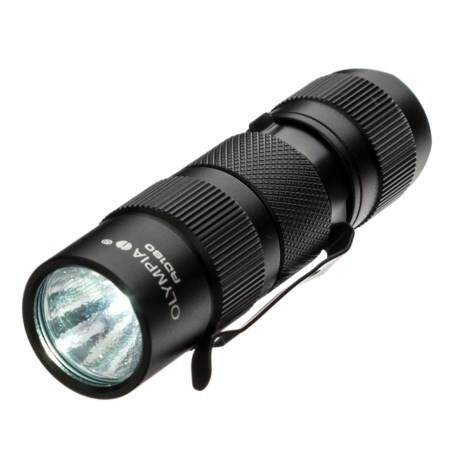 Safe to use in the pouring rain and around water, Olympiaand#39;s AD180 outdoor flashlight is amply waterproof and uses a bright Creeand#174; XP-G LED light with a crystal-clear glass lens for an intense light beam. Available Colors: BLACK.